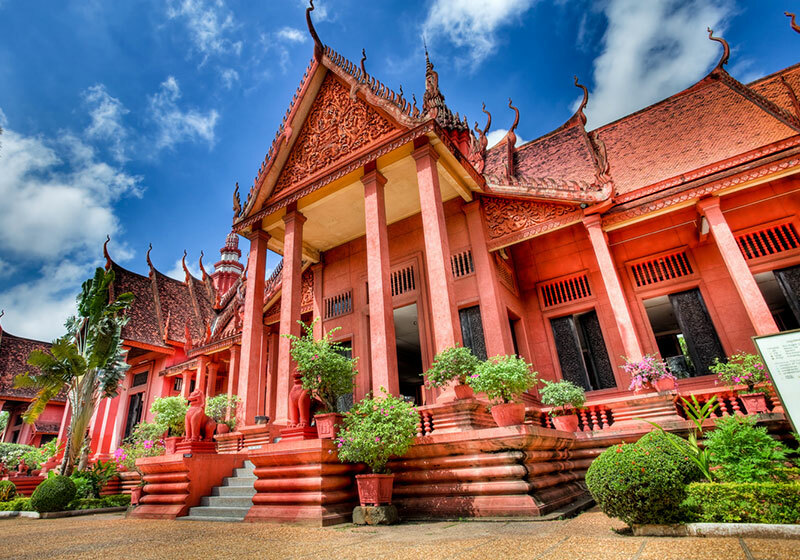 Located just north of the Royal Palace, the National Museum of Cambodia is housed in a graceful terracotta structure of traditional design (built from 1917 to 1920), with an inviting courtyard garden. The museum is home to the world’s finest collection of Khmer sculpture: a millennium’s worth and more of masterful Khmer design. Short Description: The National Museum of Cambodia in Phnom Penh is Cambodia's largest museum of cultural history and is the country's leading historical and archaeological museum.